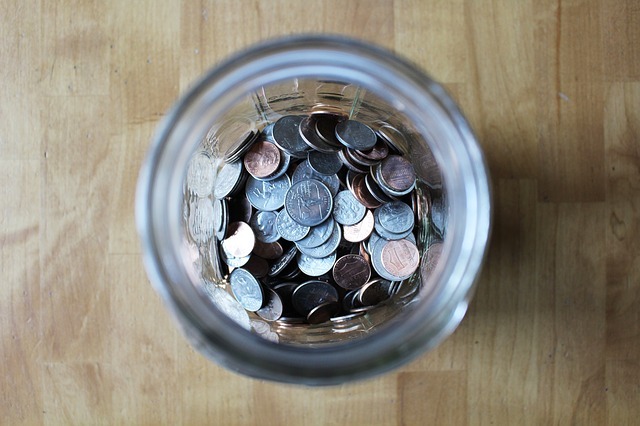 If you find it difficult to make ends meet, these tips will help you save money in ways that are easy to do and create substantial savings over time. Get rid of stuff you do use or need by having a garage or yard sale or by putting things for sale on eBay or Craigslist. Do you really want to make that billionaire richer by buying coffee for $5+ a cup? Make your own gourmet coffee that costs around 50 cents per cup for the same thing. Making your lunch the night before to take to work the next day will give you more time to enjoy lunch. You will save the money that is wasted when driving to fast-food restaurants or going to pricey lunch places. Everyone should have a garden, even if it is only a window garden for herbs. If you have some room for pots, you can grow tomatoes and other vegetables. If you have a back yard or a front yard you can grow tons of stuff. For the things that you use on a regular basis, stock up when the items are on sale. Buy things at discount stores. Buy bulk things like rice and pasta at wholesale prices in co-ops. Coupon clipping is a hobby that pays for itself in savings. Just be careful not to buy things you do not really need or use. If you have not yet changed out all your incandescent bulbs to compact fluorescent bulbs, what have you been doing? Change those bubs right away because you are burning up money on wasteful lights. Making a home run with more energy-efficiency is reduces your bills and helps the planet too. Smart home technology monitors comfort zones and turns things off when they are not needed. An expensive monthly bill for cable TV is something many can do without. There are plenty of less expensive alternatives and tons of free content to view online. Every time you come home, put all the change you have in a change jar. You will be surprised how much money builds up over time and you will hardly even notice it is missing. Do you have to drive your car everywhere? Try walking short distances instead. Not only will you save money on gas; walking may improve your health. Instead of paying others to do simple jobs around the house, do them yourself. There are plenty of do-it-yourself (DIY) guides on YouTube that show how to do just about anything. You will save the expensive labor cost for simple home repairs that can be up to $75 per hour. Are you inspired? OK. Put some of these ideas into action. Ready, set, save! When you’re ready, set up an appointment with your trusted home mortgage professional to find out about the best financing options for your new home purchase. Emortgages.com has been in business since 1998. We were one of the first mortgage companies in the country to take the mortgage business online. We wanted to give our customers 24/7 access to rates, application forms, and mortgage information. We have a great group of agents and processors who are ready and willing to help our customers through the entire home mortgage process from start to finish. We understand that you have many mortgage consultant options and are prepared to earn your long term trust. I would love to connect with you about any of your real estate finance questions. Give me a call at our office number (707) 763-6290, toll-free at (800) 619-4400 or email me at js@emortgages.com. Am looking forward to being in touch. © 2019 emortgagesblog. All rights reserved. Premium WordPress Themes.